SHOPPERS are being urged to literally get their skates on and head down to the January Sales. 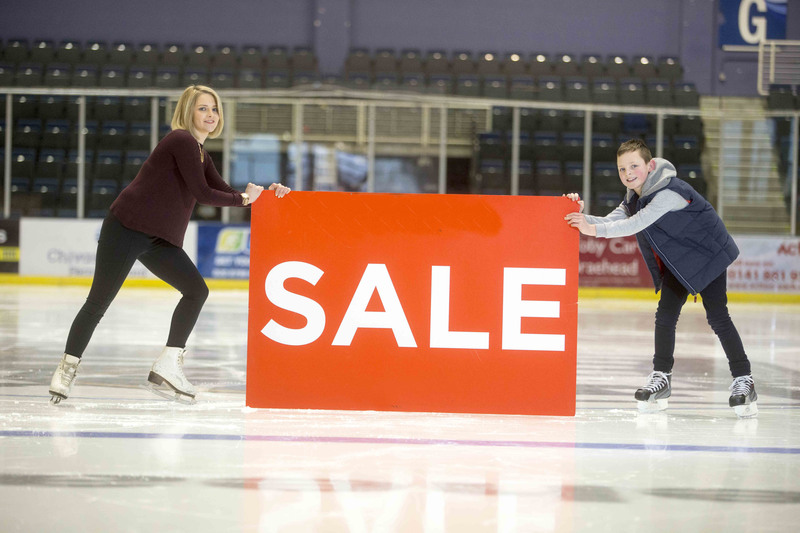 But it’s not just the shops that have money-off deals this month, as bosses at the Braehead Arena ice rink are also offering big discounts on public skating sessions this month. They’ve joined the stores in the intu Braehead shopping centre in the sales bonanza by reducing the cost of two-hour public skating sessions, Monday to Thursday by 40 per cent and the hire of skates by half. For the month of January you can join in the afternoon and evening sessions on those days for just £3 with skate hire only £1. General manager of intu Braehead Arena, Scott Martin said: “Everyone else at intu Braehead seems to be offering customers great deals, so we thought we’d join in. “The idea is to give people an incentive to come along to the ice skating and enjoy themselves. Log on to www.braehead-arena.co.uk for more details of the Braehead Arena skating sessions.